With one of the highest rates of pet ownership in the world, Australians are known to be animal-lovers. Almost two-thirds of Australian households have a pet and four out of five have owned one at some stage before. Things brings into question the people who are without a place to call home. What happens to their loyal companions? And what is being done to help support the bond they have with their beloved pets? The benefits of pet ownership are far and wide and the local government would do well to support it. Not only have significant physical and psychological benefits from pet ownership been proven, but pets help to bring communities and people together. Quite simply, they provide happiness, companionship, love and bestow a sense of pride and responsibility. These may seem like small features but are priceless to those who are homeless. It has been estimated the over $4 billion is saved each year from the national health bill, due to the physical and mental benefits that pets provided. Around Sydney, the signs are rising to make the city a better place for dogs. 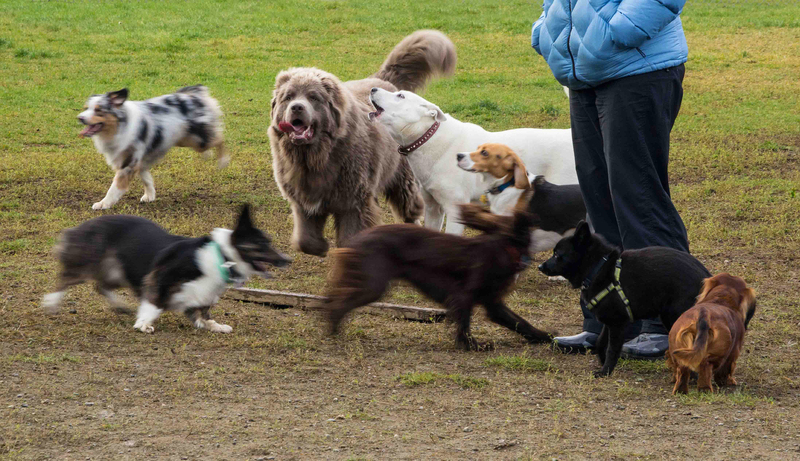 This includes more off-leash areas, drinking bowls and more education programs for owners. Yet, there is still a long way to go to becoming a truly pet-friendly society. Policies are restrictive when it comes to allowing pets on public transport, apartments, retirement villages and sadly, homeless shelters or refuges. Unfortunately, these are some of the places where a pet’s presence is needed and appreciated the most. An ideal future will see policies governing admission of animals into shelters, apartments and retirement villages, to name a few. The issue of homeless people and pets is also one to address. This requires the support of government members, and all members of society can give voice to the issue by bringing it to their local MPs. The bond between pet and owner is truly unique, and should be honoured in any situation. Crisis can come in many forms. It can be financial or emotional, health or drug related, involve domestic violence and even natural disaster. However, comfort and sanctuary comes in many forms too, and for people in crisis, pets provide unconditional and unwavering support. 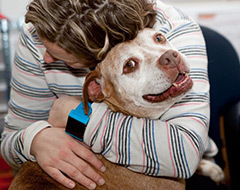 Pets are an important member of any family and the broader issue of finding refuge and shelter for both human and animal together effects much more than just the homelessness sector. There is a clear need to shift attitudes to honour the bond between pet and owner, regardless of the situation. The value of sustaining such a relationship is powerful – it provides security, therapeutic benefits and is a standing symbol of hope when all seems lost. And because of this, the importance of pets in times of hardship should never be underestimated. Fortunately, there are few but still amazing organisations that make the effort to keep people and pets together. The Pets in Peril program by Animal Aid in Victoria to assist families experiencing domestic violence. In an ideal world, refuges would accommodate for the entire family (animals included), but sadly this is not always possible and Pets in Peril has been decided to care for beloved animal companions. Similarly, Safe Beds for Pets by the RSPCA supports families in domestic violence situations. This means families can leave dangerous situations and take the time to make arrangements for the future without fearing for the safety of their pets. The demand for these kind of outreach services is increasing and while it is reassuring to know that services exist, we are still on our way to create a systematic solution that provides for both animal and human.